Whether you are looking to motivate your employees, specific business units or provide your guests with an experience to remember, Max Velocity can deliver. Whether a specific team building event, or a corporate event designed to bring your team, customers and prospects to together, our activities provide the ideal solution. Let your guests and employees experience the thrill of driving a Formula One Car, or our Pitstop Challenge. Test your own ability on the track and compete against your colleagues! As a business owner, you might be looking for ways to get your team to work more effectively together. But the endless list of mind-numbingly boring team building events is enough to put any boss off organising something out of the office. But hopefully, you’ve started to realise that effective team building does not have to equate to those horrendous activities we were once subjected to ourselves, such as falling into the arms of the person behind you to build trust. At Max Velocity Events, we make sure that our guests enjoy every second of their day with us and we deliver bespoke motorsport events that leave a lasting impression long after the activities have ended. Bring your team along to enjoy fun motorsport activities, such as driving one of our life-size Formula One Simulators or partaking in our super popular Pit Stop Challenge. All of our activities have been designed to promote better teamwork, to encourage more effective communication and to enhance the performance of employees. A fun team building day will motivate your staff and boost team morale. 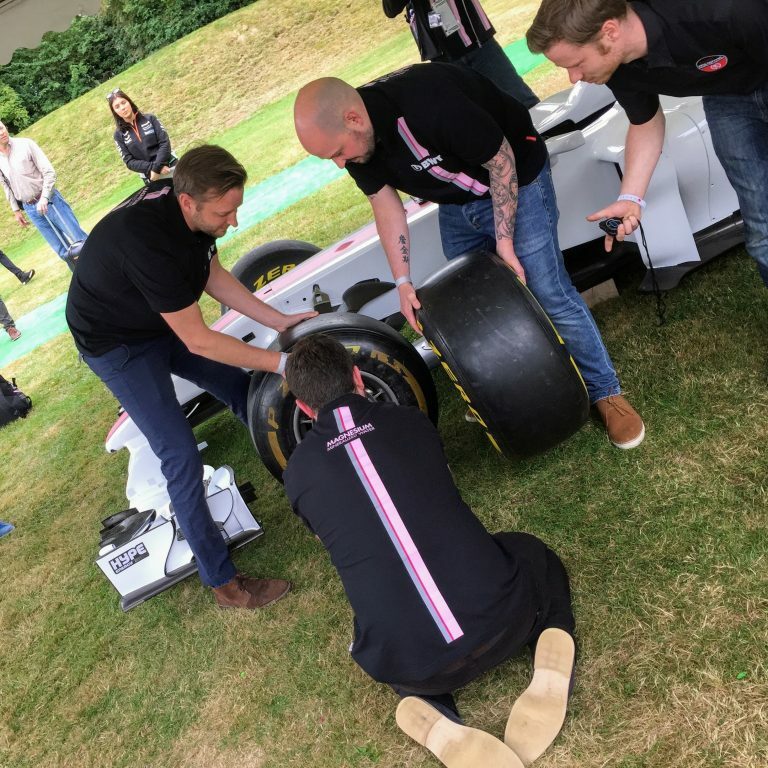 If you’re not convinced that Formula 1 corporate entertainment is the right option for your business, check out the information below to learn just how effective this type of team building can be for your employees. Being confined to the same four walls in the office is enough to send anyone a little crazy – and at the very least, your team members will start to feel demotivated, stressed and bored. In order to reduce the pent up stress and the negative results that can have on the efficiency of your team, organising a fun day out of the office is a fantastic idea. Corporate team building events have grown in popularity over the years and that’s because bosses have finally clocked on that happy employees are better, harder working employees too. Our corporate entertainment days include entertainment from a motivational speaker from the world of motorsport, which includes commentary on the driving performance of your employees. 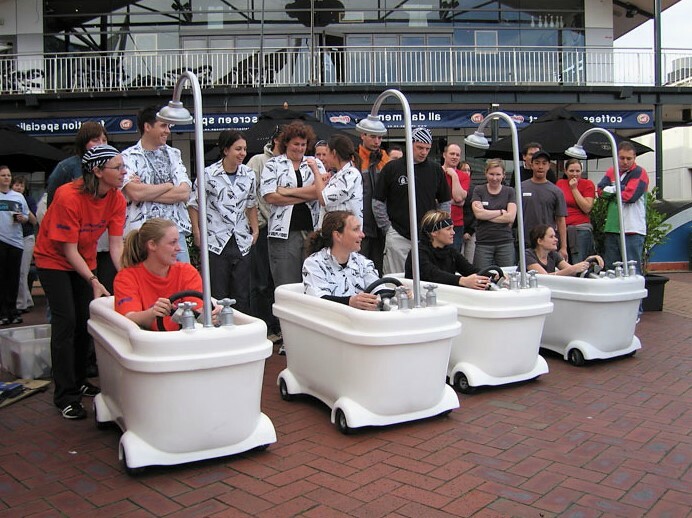 This really gets your employees in a competitive mindset, which is the exact frame of mind that is required if they are going to shine in the Pit Stop Challenge, racing bathtubs and Kit Karts activities. There are several companies which utilise F1 corporate entertainment to create awareness and boost the sales of their products and services. Such corporate events help businesses to lure in new clients and simultaneously motivate employees to perform better. Our Formula One Simulator includes a fully brandable, life-size F1 Show Car that is great for attracting attention at any event. The full-size car you hire can be personalised with the help of our design team to display your companies logos and messaging. 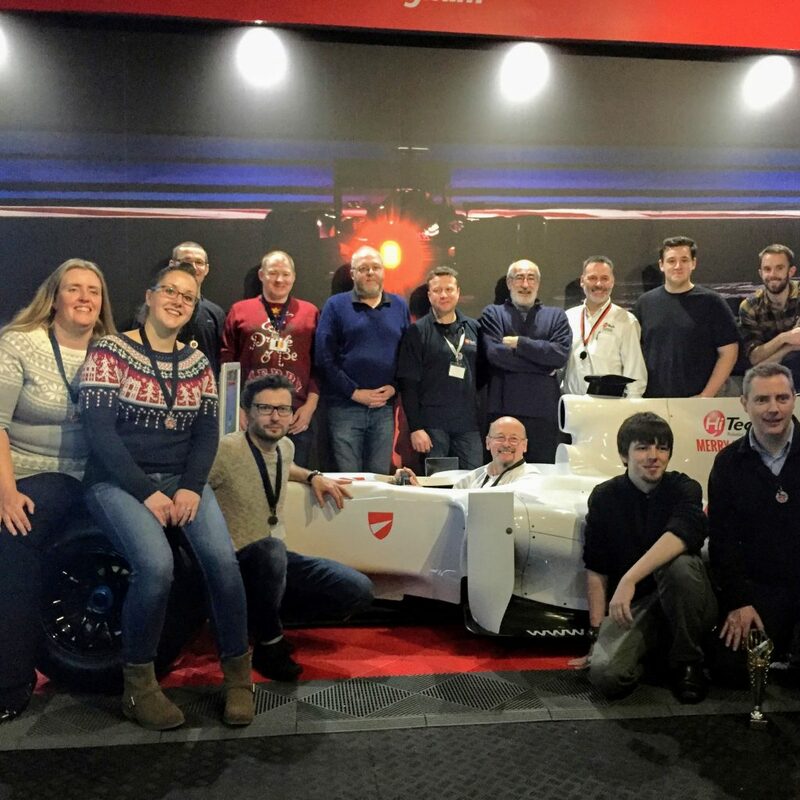 Hiring our attention-grabbing Formula One Simulators are just what businesses need to draw in crowds at product launches, exhibitions and promotions. So by signing your employees up to a fun corporate entertainment event, you are killing two birds with one stone as you will also manage to create additional exposure around your brand and business. There are several corporate activities out there that claim to boost employee morale and productivity, but not all of them are as effective as you’d be led to believe. Perhaps you’ve already endured a few of them previously, which is why you’ve landed here as you’re looking for something a little different. Giving your employees an opportunity to participate in an adventurous motorsport activity allows them to experience a thrill that no office environment can bring. It will keep their minds sharp and focused whilst they are behind their desks. Treating your employees to the sort of experience we provide is also a brilliant way to reward good performance. If your team has been exceeding expectations, giving them incentives to keep up the good work is probably the only way you can ensure their performance does not start to dwindle. Showing your employees that you value them and what they bring to the team is hugely important to business operations. If you are looking for a corporate entertainment day that is a little unconventional, you are in the right place. Max Velocity are experts at creating bespoke motorsport events that are catered towards team building efforts. Our various activities will mean that your employees are pushed and tested, all whilst have bundles of fun outside of the office.